Remember dozing off (or bunking off) during afternoon lessons about the Agricultural Revolution? 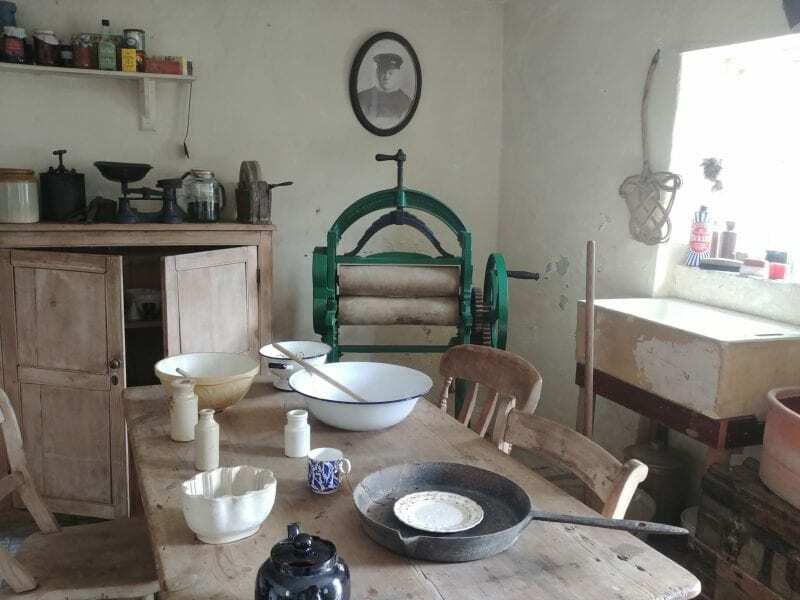 Visit Morwellham Quay, a living history attraction set in beautiful Devon surroundings, and you might discover an interest in days gone by that you didn’t know you had – and at the very least you’ll have a lovely day out. Six of us aged between 3-73 visited on a sunny September weekend – kids aged 3 & 6, parents and grandparents. As well as enjoying some very relaxed and memorable family time together (we had to drag the kids out at close of play at 5.30pm, and only wished we’d arrived earlier than we had at 1pm), we all had our expectations confounded – and that’s always a lovely thing. So, here are some things that we learned at Morwellham Quay – and they’re probably not what you’d expect either! Our 6 year old is not an adventurous type. He’s a big fan of Watching from the Back, Things he Knows and Loves – and hates Joining In and Organised Activities. However, to our total amazement he was fascinated by the train ride into the dark tunnels of the old Copper Mine (not a whimper, unlike Nanny), and joined in with the bread making and chocolate workshops with gusto. He even ate his own bread for breakfast the next morning (“unfamiliar” food– another win!). 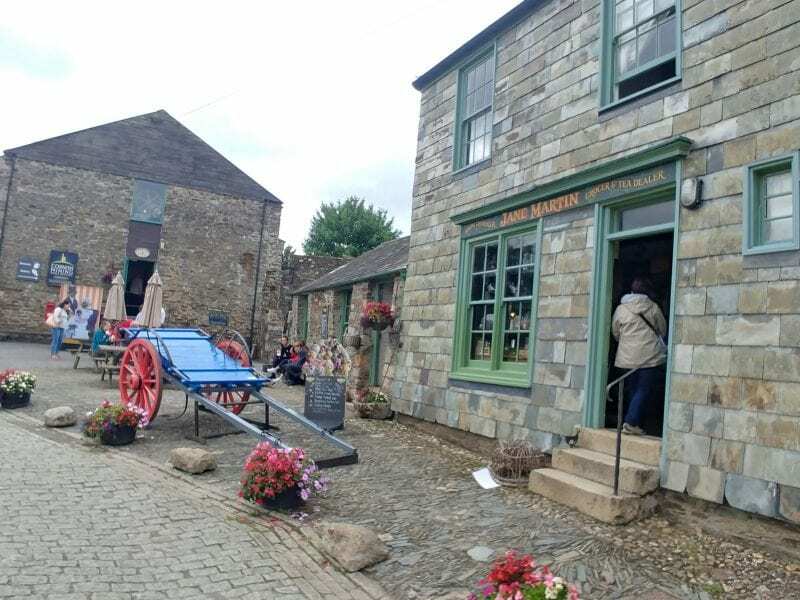 There were lots of activities taking place throughout the day at Morwellham Quay, and like most visitors we planned our visit around them, then enjoyed the food and drink and surroundings in the time in-between. But the big surprise was the Rock Smashing – you’ve no idea how satisfying it was to break open the stones with a whack of the hammer (not too arduous, even our 3 year old managed it) to reveal the twinkling metal within. We could have done that for hours, arms muscles permitting. Our kids came away with a huge amount of new insight into the Victorian period – and probably still don’t know it! When it comes to learning, nothing can compete with being immersed in an experience. At Morwellham Quay you get the sights, smells and sounds of how life was for families mining this beautiful part of the Tamar Valley over 150 years ago: dress in their clothes, visit their houses, get splashed by their enormous waterwheels and chat to the in-character historians who really bring this place alive. Sit in the Victorian Village Schoolroom for half an hour whilst the school master barks from his lectern and you’ll certainly appreciate your cosy modern Primary School. I actually love history – and fellow buffs will find that there’s lots of serious stuff going on here too. The story of the people who lived and worked here over hundreds of years is fascinating, and if your eyes are open, and you talk to the extremely knowledgeable staff, there’s more detail and information than can be taken in on one visit. The beauty of this place is that visitors can access it on whatever level they want: little ones love the activities, animals, costumes – and play area; bigger kids jump into the learning that’s made so accessible to them (and it’s worth knowing that much of what they learn fans into what they’ll be learning at school, too); those looking for a pleasant afternoon will find a fascinating and beautiful place to enjoy; and lovers of times past can revel in the experience, and dig as deep for detail as they wish. It’s a great place.